Ruffian Nails are so chic and a revamp of the french. These Ruffian nails came about from, “CND’s collaboration with the fashion house Ruffian at their Fall 2010 runway show,” read article here. Here is the tutorial on how to create Glitter dipped Raffian nails: 1. Paint a black base color, I left some space where the glitter will go as a guide. 2. 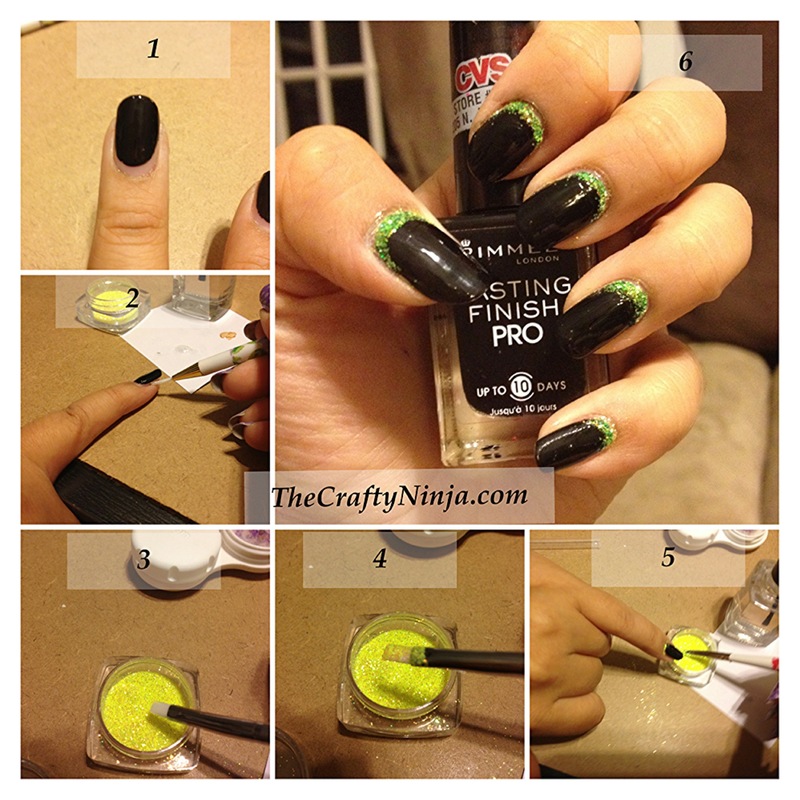 Use a nail paint brush and top coat start painting in the area the glitter will go. 3. I found this amazing neon yellow glitter at a local beauty supply along with the nail paint brushes 4. 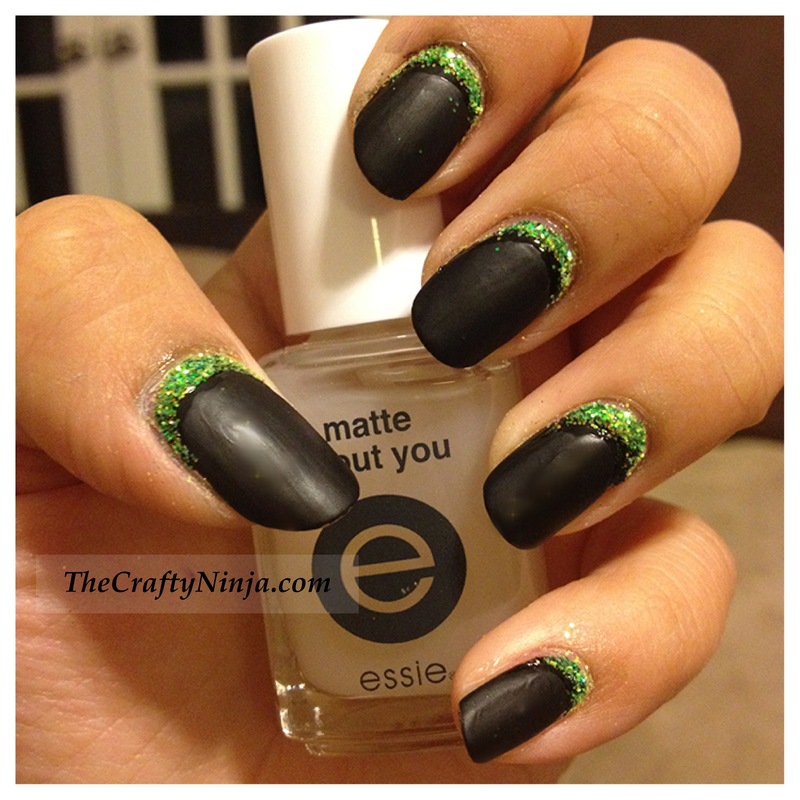 Dip the nail paint brush into the glitter and scoop. 5. Put your finger over the glitter to catch any loose glitter that will fall and apply the glitter. Tap off any access glitter. 6. Apply a top coat on the glitter. 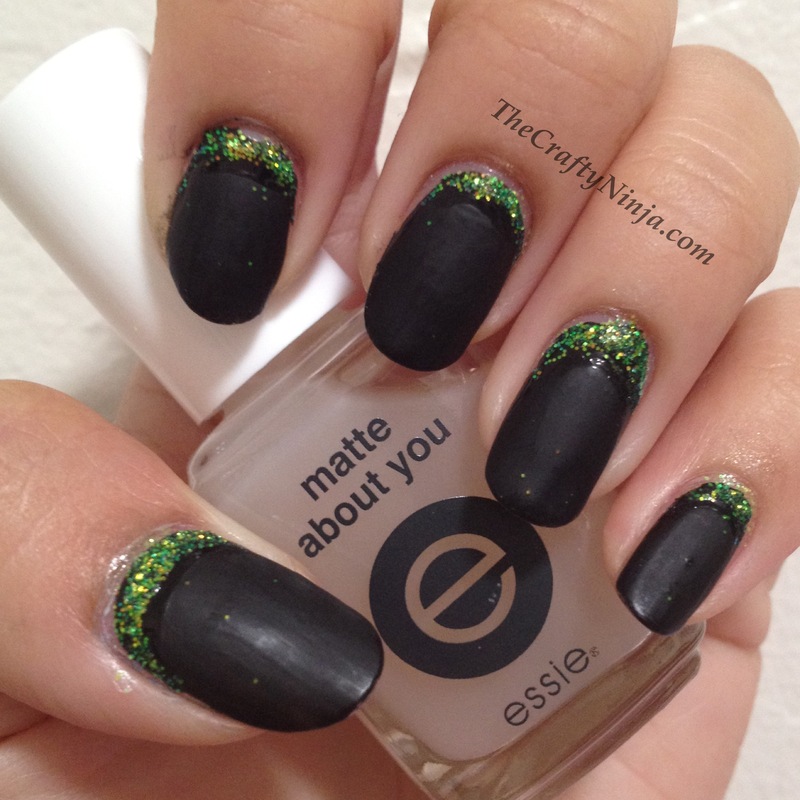 Here I applied Essie Matte About You, purchase here, over the black nail polish to give more contrast.